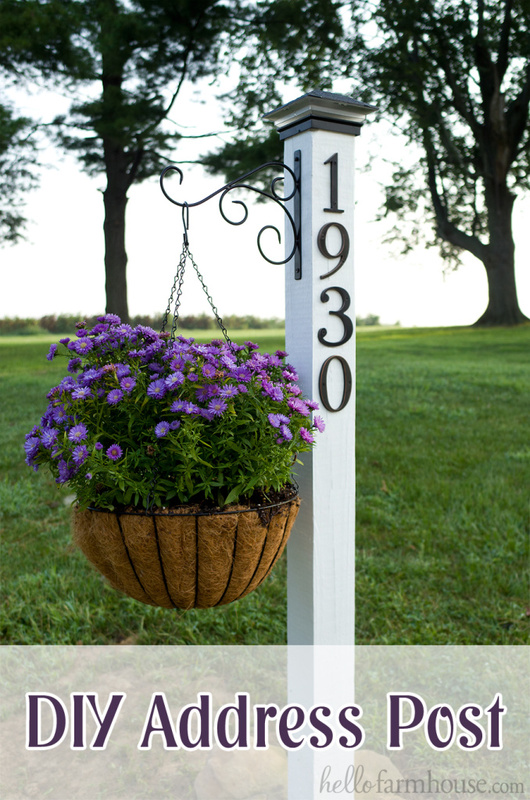 Read ahead for some simple spring projects! 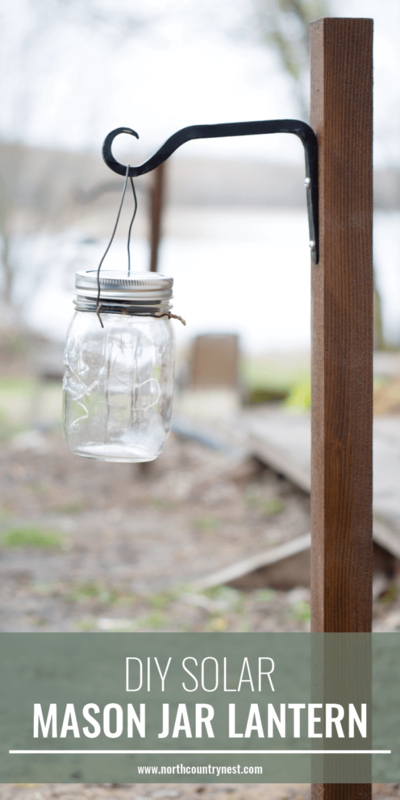 Spring is almost here, and that makes so many of us want to head outdoors for some fun projects! I’ve rounded up some simple projects for you to gather inspiration, and each of these projects take less than a day to complete. Most of them actually only take a few hours! Be sure to click on the blue/gray links at the top of the picture to be taken to the tutorial. Thank you to all the bloggers who linked up their ideas on the weekly link party held here on the blog every Monday evening. Click here to see other roundups like this one! So cute! 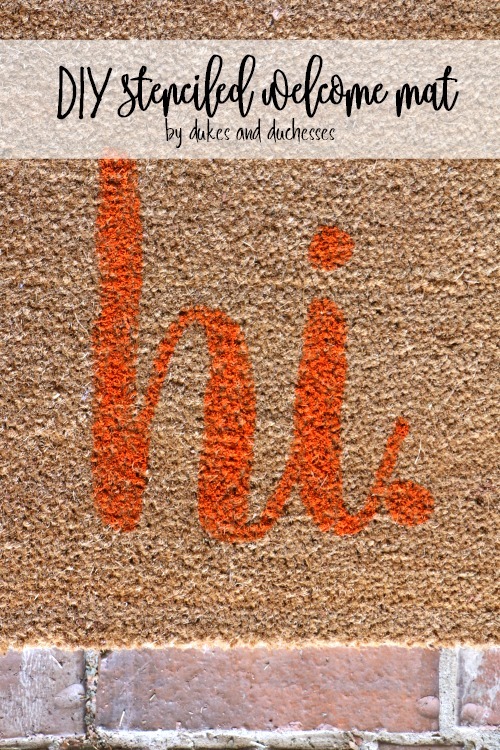 You could stencil anything you wanted on your mat! 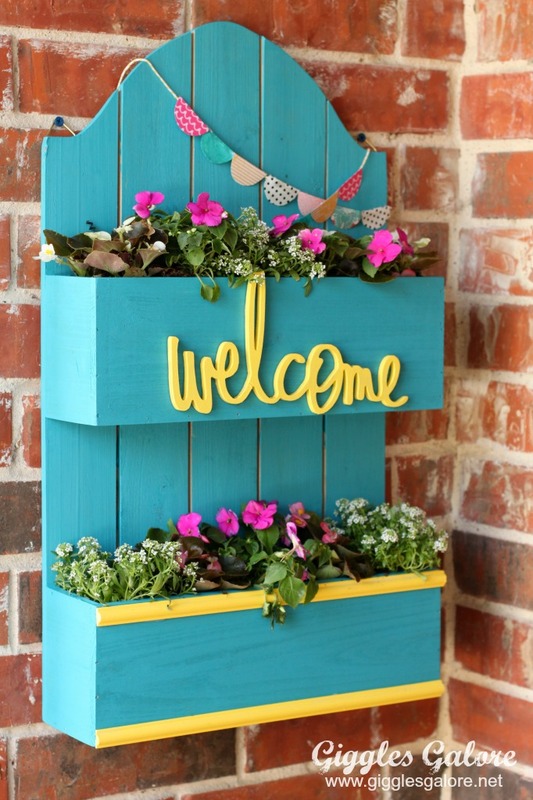 This planter is a premade piece! All the sources are in the post. 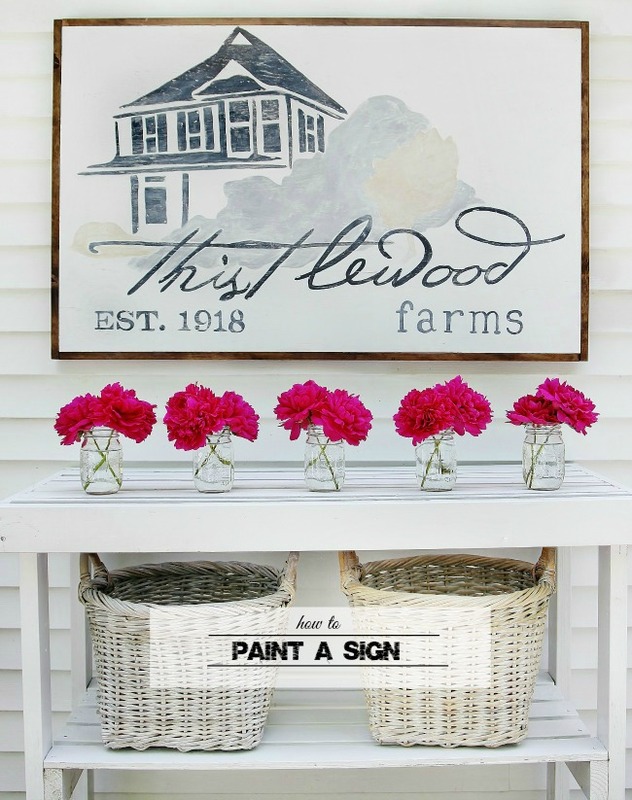 An inexpensive way to make a cute sign, and perfect for your porch or patio! 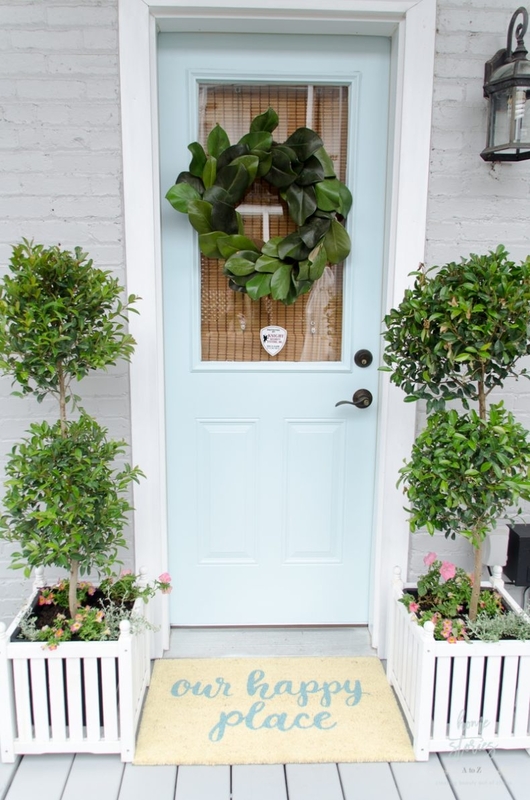 Blue doors are just simply so pretty! Choose a color that is just perfect for you! 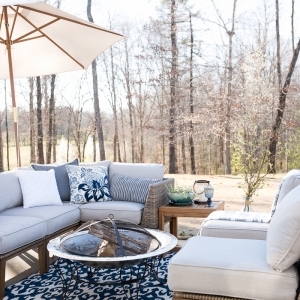 If you’re undecided on your color choice, you’ll love this post! 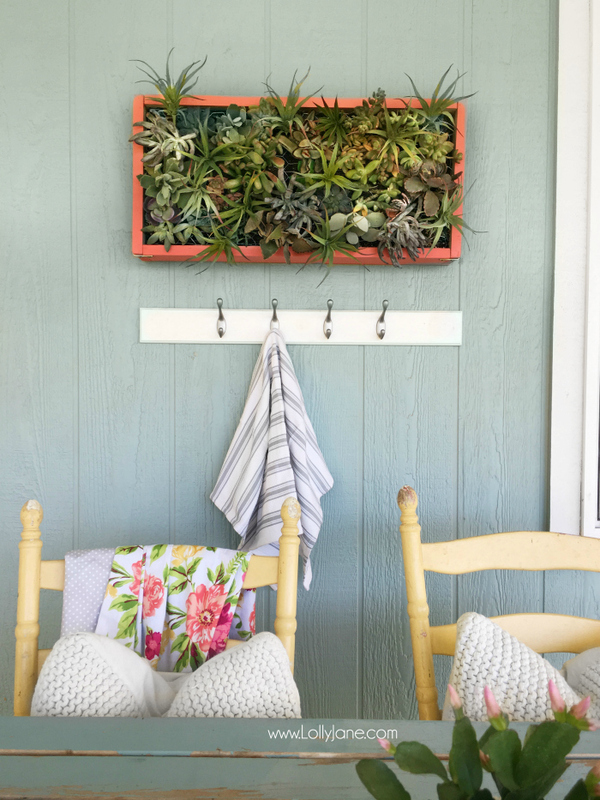 Full tutorial for this pretty planter, and it costs about $10! This is perfect if you have a long drive way, or can’t see the numbers on your house very well! 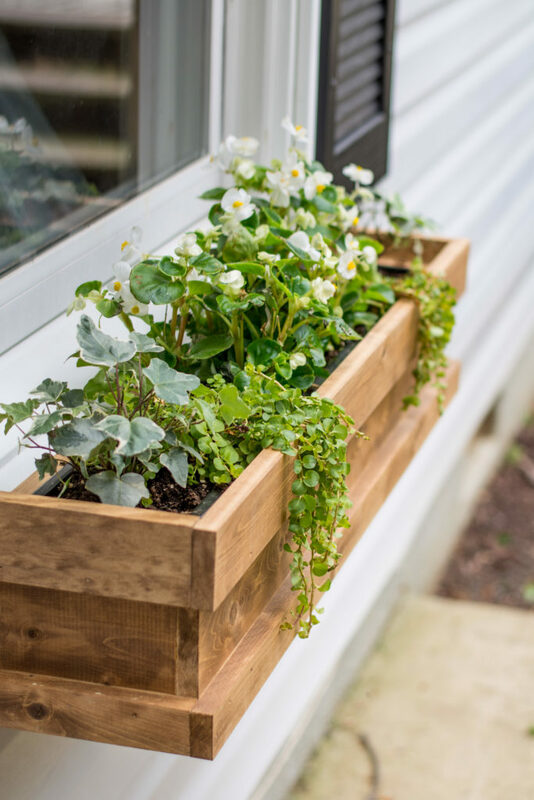 Cedar window boxes are classic! 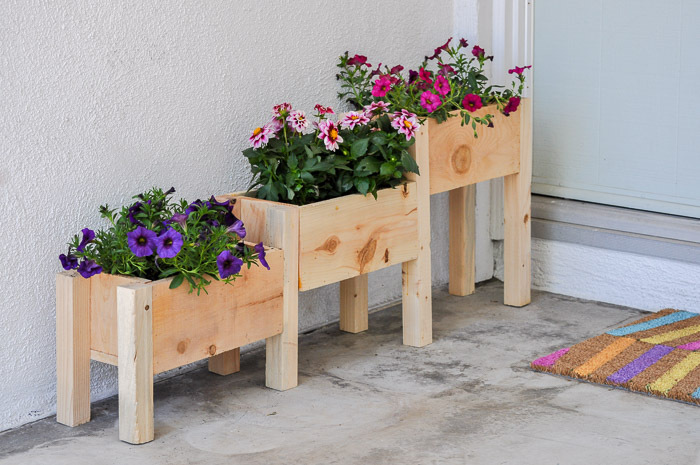 Wouldn’t these be adorable on each garden row? Personalize these flags to anything you’d like! 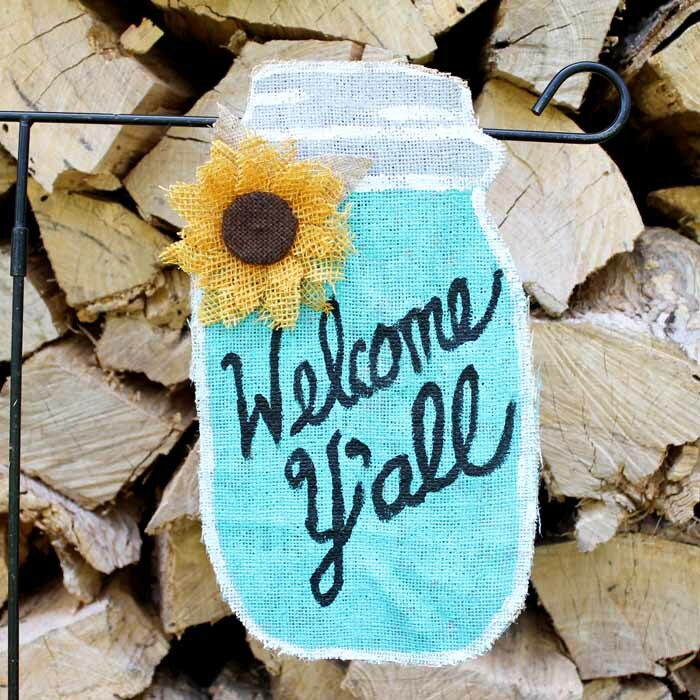 Adorable addition to any porch decor. This looks so beautiful. Exactly what I need to try out. Thanks for sharing these ideas.